For many Millennials, the phrase “surf ‘n’ turf” was first heard watching Skins when wide eyed Pandora quizzically asked Effy what it meant. But for most of us, thankfully, when we hear or read these three words, we know we’re in for something special. A bit like Lennon and McCartney, surf ’n’ turf are great individually, but together they’re on another level. Manchester’s food scene has seen something of a revival over the past 10 year or so as diners leave their culinary comfort zone, sprawling out from Deansgate and around the Arndale shopping centre, transforming areas such as the Northern Quarter and Spinningfields. Burger & Lobster however, bucked this trend and set up in a admirably large site on King Street. Your first challenge is finding the entrance; we made our way into the marble reception of Ship Canal House (as I’m sure countless others have before us) only to do a quick 180 and make our way round to what feels like a back entrance. 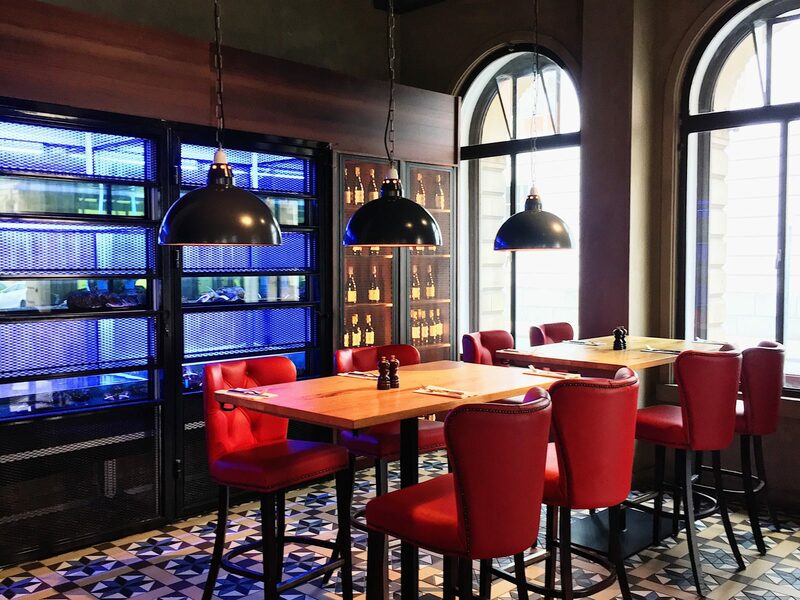 The menu at Burger & Lobster is almost as simple as the name; you have three choices of burger, fiver lobster dishes and, of course, the B&L combo, each choice is accompanied by fries and a salad. 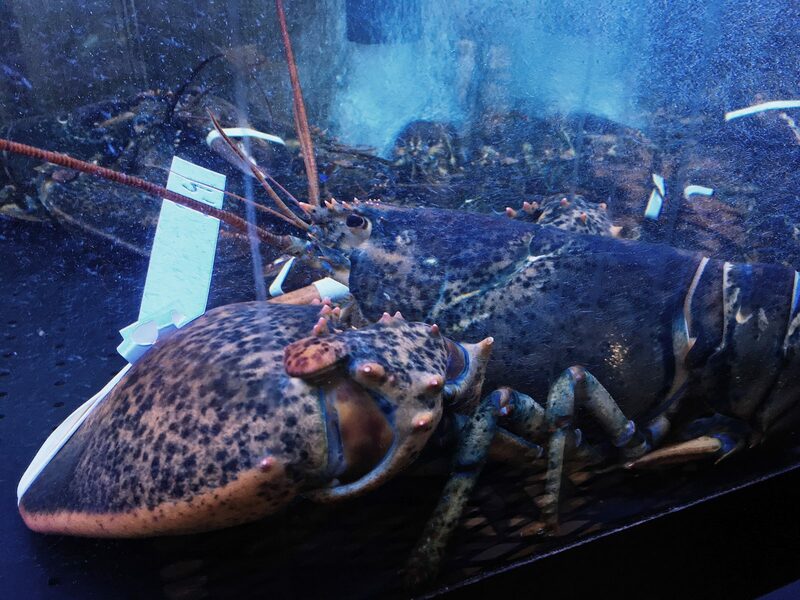 If this is your first venture into the world of lobster the immediately friendly staff are more than happy to provide guidance. At £32 the combo is hard to ignore for a 6oz burger and a 1lb lobster, especially considering a 1.5lb lobster on it’s own is only £1 less! Calum wasn’t drinking on this day (he’s the type to have none, or 100 drinks) so I was left to peruse the cocktail menu myself. I chose an alcoholic take on lemonade; a refreshing mix of homemade lemonade, limoncello, prosecco, ginger ale, rosemary, and some other bits which escape my memory, but my God, this cocktail was made for summer days! The burger, topped with: lettuce, tomato, pickles, melted cheese and Burger & Lobster’s secret sauce, was a solid 7/10 — not the most mind-blowing I’ve ever eaten, but it draw a “mmhhmmm, this is a tasty burger” from myself, Calum just wolfed his down with minimal fuss or comment. The lobster is cooked to your liking: grilled, steamed or, as we opted for, half and half. If this is your first time, I recommend trying it both ways and then returning at a later date with your preference. The steamed half serves to accentuate the freshness of the ocean and intensifies the already rich meat; the grilled half added a smokiness, masking the aforementioned flavours. Steamed lobster will always be my preference, especially when doused in the deep lemon and garlic butter! The fries naturally were dipped in the butter too and the side salad was magnificently dressed with balsamic vinegar and a more than generous amount of parmesan. Somewhat ashamedly the sheer amount of food got the better of me, not that Calum minded one bit as he mopped up! As we made our way out into the May sun before heading to Old Trafford, Calum and I remarked on how ridiculously full we were, but also how we were already looking forward to our next sampling of surf ’n’ turf. It’s a food addiction, and Burger & Lobster is just the gateway drug. 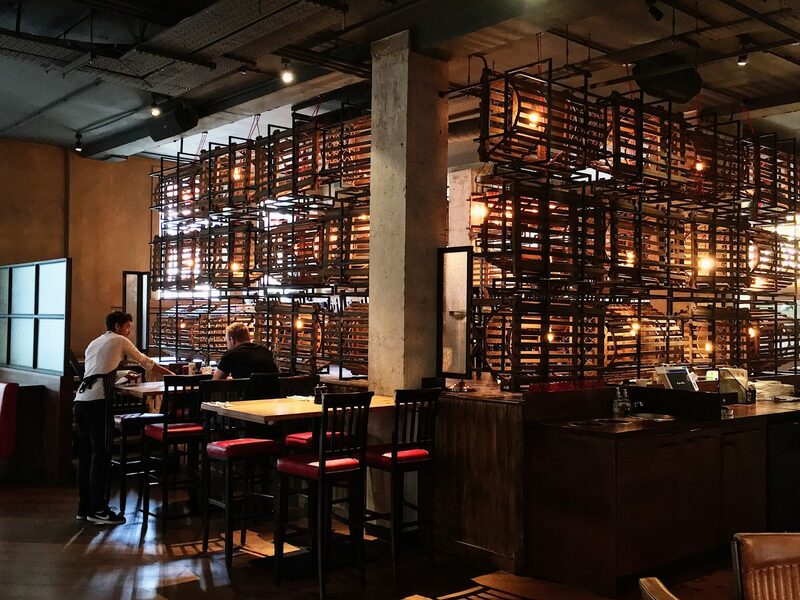 Visit Burger & Lobster @ Ship Canal House, 98 King Street, Manchester, M2 4WU UK. Photos by Todd Riddiough Robinson.